What type of flag are you looking for? An American flag to keep on your flagpole at all times? Or maybe a sports flag to support your favorite sports team? A country flag? Or do you need a specific flag? We can make you a custom flag! 1. To properly fold the Flag, begin by holding it waist-high with another person so that its surface is parallel to the ground. 2. Fold the lower half of the stripe section lengthwise over the field of stars, holding the bottom and top edges securely. 3. Fold the flag again lengthwise with the blue field on the outside. 4. Make a triangular fold by bringing the striped corner of the folded edge to meet the open (top) edge of the flag. 5. Turn the outer (end) point inward, parallel to the open edge, to form a second triangle. 6. 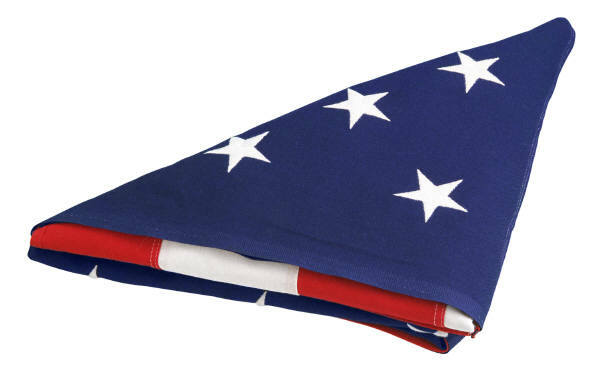 The triangular folding is continued until the entire length of the flag is folded in this manner. 7. When the flag is completely folded, only a triangular blue field of stars should be visible.